For the days when you don't want to be totally exposed. Get help here for the top. During my Current Top replacement I just snapped my rear cable, Dang it. The price jump from 50 to 70 dollars for my preferred cable was too much. 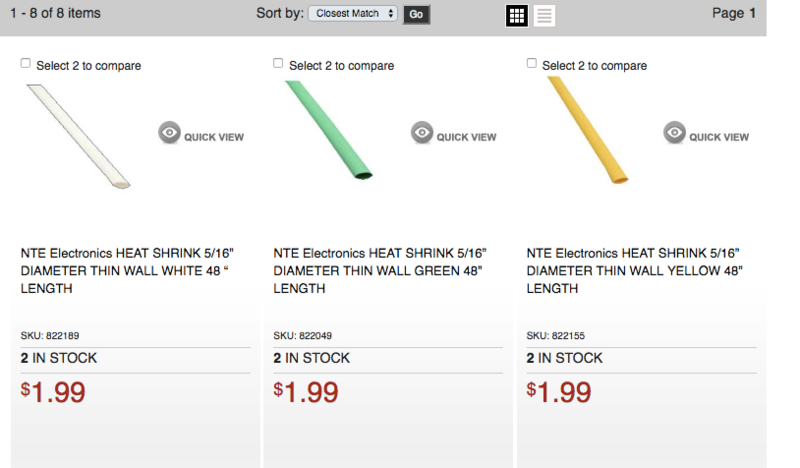 You can buy 1/4 or 5/16 inch heat shrink (I got mine at MicroCenter) in 4 foot lengths. This goes over the bolt end and Shrinks to about the size we need, the 1/4 shrinks tighter but 5/16 goes down to 1/8 so you need about 80 inches so get 2 4 foot lengths. 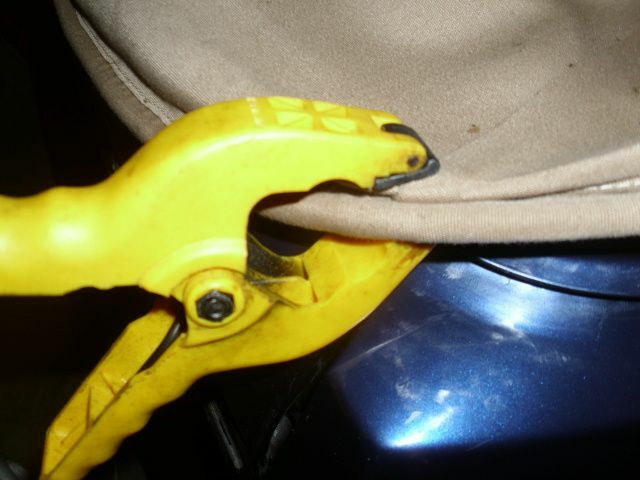 Here are the facts, if you decide to sheath the cable at the rear your sheath can't exceed the width of the distance -1/2" of the length of the trunk both sides. The Cable will have to be shimmed, that is about 1/2 to 3/4 of an inch both sides, they sell shims at the hardware store, or you can buy washers and slice them so you can slip them over the bolt, they need at least a 1/2 inch hole. What I have found over several new sheathed and unsheathed cables is that the total length is 94 inches. However that is also the length of 4 old cables that have been stretched. So while they are easier to get on, they can't fully be tightened unless they are shimmed. the cable is too loose and needs more tension. NOW HERE for the first time I will tell you the Secret of the Rear Cable and the Tops Seam. The seam is Sewn, folded over and heat sealed, it is very stiff and twice the thickness of the plain top. What really is also an issue is that the Boot tabs should be to the inside of the seam, and it is almost at the bend around for the cable tray. 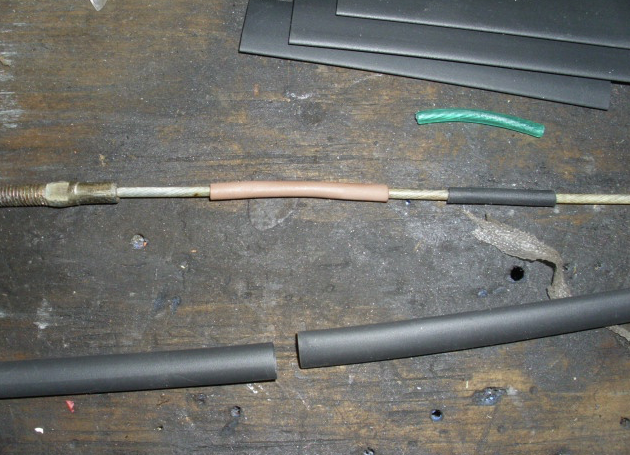 Where you have the seam at the back, a couple of hours before you start the rear cable try this. Get a set of 6 inch Spring clamps. Fold the rear seam in 1/2 " accordion pleats, that is from the Back Bead fold the seam 1/2 inch from the bead back to the bead, then 1/2 inch more the opposite way, so you are simulating the seam folding in to the tray. Once this has been allowed to set about 20-30 minutes, it will retain the shape and more easily seat with the cable. I have a new Stayfast Canvas top, and the seam was fighting me, so I said "try this" and it worked like a charm. As a Lubricant for the Cable tray, and the material I used CLEAR Dishwashing Soap. It won't stain the Fabric it washes out, and if it dries, a few spritz with water makes it slipperier.